On this day in 1951 Smith & Nephew listed on the LSE. The following chart plots the average monthly out-performance of the shares over the FTSE 100 Index since 1988. For example, on average Smith & Nephew has out-performed the FTSE 100 by 2.4 percentage points in June. The strongest month for Smith & Nephew shares relative to the market has been June (the shares have out-performed the market in this month in 16 of the last 25 years). The weakest month for Smith & Nephew relative to the market has been August (the shares have only out-performed the market in this month in 9 of the past 25 years). Smith & Nephew is in the FTSE 350 Health Care Equipment & Services [NMX4530] sector. Posted in Month analysis, News, Stocks	| Tagged Aug, Jun, OTD, Smith & Nephew, SN. On this day in 1955 Land Securities Group listed on the LSE. The following chart plots the average monthly out-performance of the shares over the FTSE 100 Index since 1988. For example, on average Land Securities Group has out-performed the FTSE 100 by 1.4 percentage points in July. The strongest month for Land Securities Group shares relative to the market has been July (the shares have out-performed the market in this month in 17 of the last 25 years). The weakest month for Land Securities Group relative to the market has been June (the shares have only out-performed the market in this month in 6 of the past 25 years). Land Securities Group is in the FTSE 350 Real Estate Investment Trusts [NMX8670] sector. Tomorrow will be the last trading day (LTD) of June. 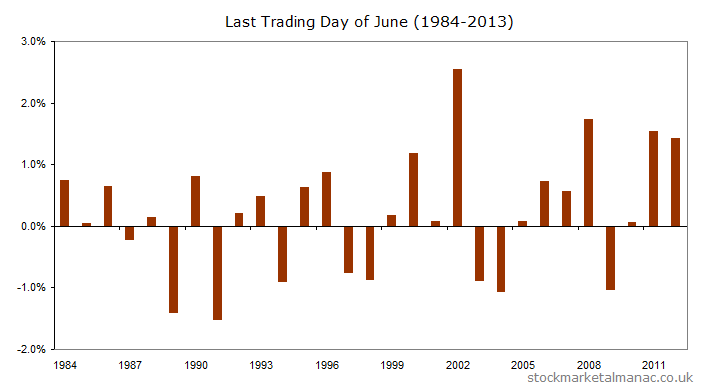 Since 1984 the market has on average risen 0.20% on the LTD of June, which makes it 2nd in the ranking of month LTDs. 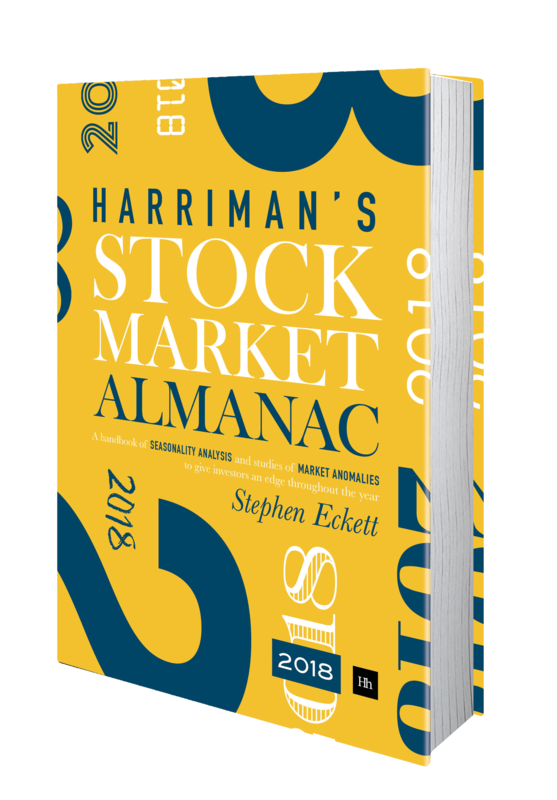 Since 2000, however, the June LTD has been even stronger with an average return of 0.53% on the day – making it the strongest month LTD of the year. The following chart shows the FTSE 100 Index returns for every June LTD since 1984. 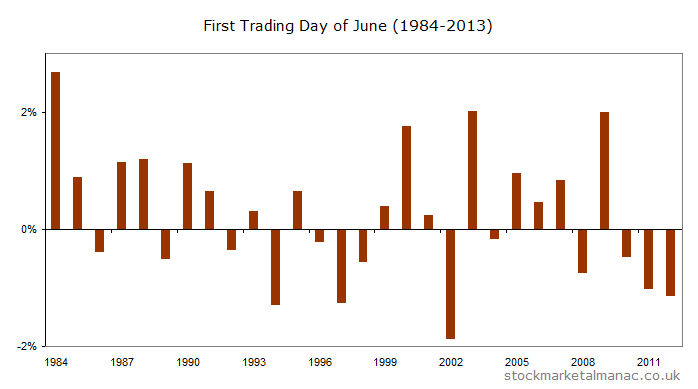 The June FTD has been the 6th strongest FTD of the 12 months: since 1984 the FTSE 100 Index has increased on average 0.24% on this day. From 2000 the average return on the day has been marginally weaker at 0.21%.